The renaissance was a cultural movement that profoundly affected the European intellectual life during the early modern period (specifically between the 14th and 17th century). It began in Italy and spread to the rest of Europe by the 16th century, its influence was felt in literature, art, philosophy, music, politics, science, religion, and other aspects of intellectual inquiry. 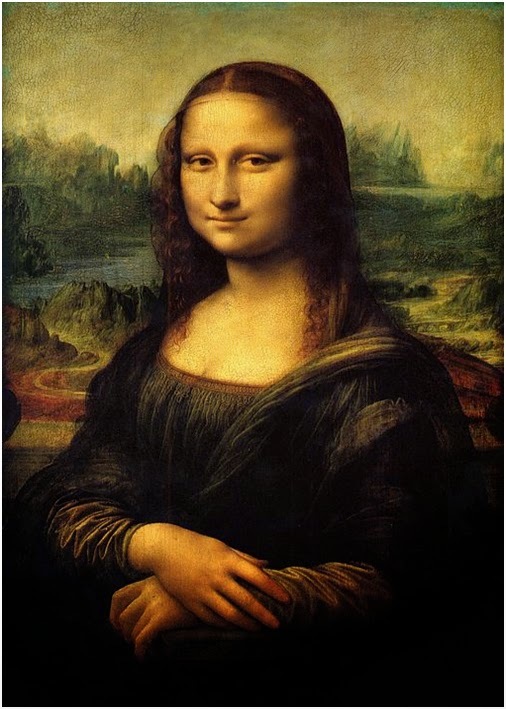 This article will focus on The Renaissance man Leonardo da Vinci; I will only mention him as the length of this article will not allow me to mention any more than one renaissance artist. His work was beyond genius and still serves as inspiration for modern artists and a reminder of the infinite creativity of the human mind. Why is the renaissance period so significant? Before the beginning of the 14th century, most artists were only ever commissioned by the church to create art and were given very strict guidelines. No one other than the church could afford to invest money on art; this was largely due to the uneven distribution of wealth which was brought about by the political instability. All this changed with the birth of a thriving commercial economy (in Florence, Italy), which lead to the distribution of wealth among bankers, merchants as well as nobles, who were then eager to display their new social status by buying and displaying pieces of art. These new patrons of art did not impose rules on the artists and allowed them free reign. The artists used their newly found freedom to explore styles of painting and sculpting that hadn’t been used before, an example of a method that was first discovered during the renaissance was the use of light and shadows, this may seem fairly common to you today but back then, it was an incredible new concept that added a whole new level of realism to the painted scene. He was perhaps the most recognized artist of the renaissance period and remains so even today (centuries later). He was an Italian renaissance polymath: painter, sculptor, architect, musician, mathematician, engineer, inventor, anatomist, geologist, cartographer, botanist, and writer. He was all those things and perhaps many more, but he was and is renowned supremely for his work as a painter. An interesting story about Leonardo da Vinci is one behind the painting “The baptism of Christ”, which was primarily painted by Leonardo’s teacher Verrocchio, Leonardo is said to have only painted the last angel, as the styles used were characteristic to his later work. This was the last painting Verrocchio ever did; historians believe that the teacher felt embarrassed. Embarrassed that his pupil’s grasp of the nature of colors was so much better than his own, and decided to leave painting and focus instead on his sculpting and metal work. There were some paintings of Leonardo da Vinci that were only later identified as his work by art experts. They do this by trying to identify various aspects of a painting, aspects that are distinct to Leonardo’s known work. An example of such an aspect is the method in which he painted the background (his paintings usually had a hazy background; he created this effect by using oil glazes). An example of a painting that has been identified by considering such aspects of a painting is the lost Isabella D'Este portrait, which was recently found among a Swiss private collection. It is perhaps the most well known painting, toady. It has been parodied several times. There are numerous aspects of this painting that make it such a significant piece of artwork. The thing that I like most about this magnificent piece of art is the dynamic facial expression with which it has been painted, when viewed from one perspective it has a happy expression but as you change your viewpoint, the expression turns to one of sadness. Also notice the great intricate detail with which her hands have been painted. Leonardo’s extensive knowledge of the anatomy of the human body and his understanding of the physics of light is well implemented in this master piece. This is another one of his works that is now renowned worldwide and is perhaps the most reproduced religious painting. This masterpiece depicts a scene from the book of Mathew, during this meal Jesus informs the 12 apostles that he will be betrayed by one of them. Leonardo drew each apostle with a separate and striking facial expression; in accordance to how they may have reacted once they hear his words. Judas is shown holding a bag of something (which could be silver). There was much debate on the identity of the figure painted to Jesus’ immediate right, some believe that the swooning figure may be Mary Magdalene but none of the four gospels account her being and therefore it is not Mary even though the Da Vinci code says differently. Leonardo used one point perspective to draw this piece, which involves all the lines of the painting converging in one place known as the vanishing point. This method was used to emphasize the importance and central position of Christ. The lines in the last supper all converge in his right eye, drawing the viewer’s attention to this point. 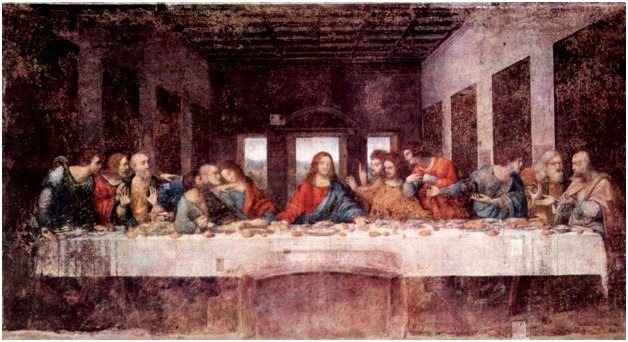 Leonardo painted this piece in the dining hall of a monastery, and experimented by painting in tempura rather than the conventional fresco. The viewpoint from which point it was painted was also unique. This painting was a turning point in art history, which took painting towards a new and a little more realistic path. The art produced during the renaissance was quite significant and over time has gained a sacred place in our culture, it is therefore prudent that one takes the time to understand and appreciate those spectacular works. But this should be done with caution; it does not do to live in the past and forget about the future. Pay close attention to the new and upcoming artists, who knows, you might just find the next Leonardo da Vinci. Support independent artists, visit Exporting art.